A "relaxed performance" suited for young people with ASD has been included in the line-up for the New Zealand Festival. 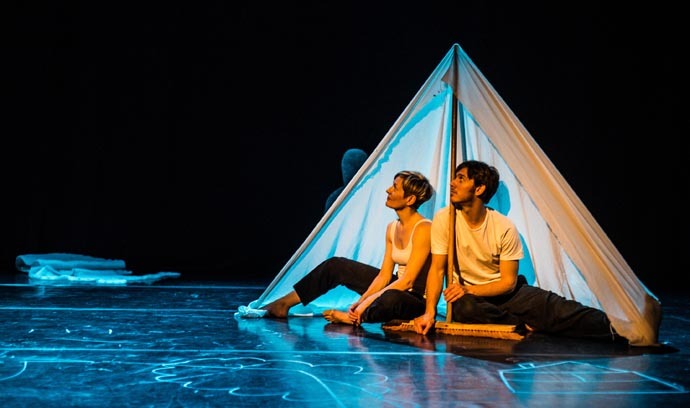 Autism New Zealand announced last week on its Facebook page that they have worked with the performers to create an “autism-friendly” performance of Chalk About, an interactive mixed media show for children, on Wednesday 2 March. Together, they have also produced an invaluable resource for schools/caregivers supporting a young person with sensory issues to prepare for the experience. For me, as a parent of a child with autism, it ticks the boxes in covering all the "what if" situations that may arise in such a social setting! This comprehensive online resource covers a variety of topics that can help prepare a person with ASD for a new experience in an unfamiliar environment, typically full of sensory nasties like bright lights, loud noises, strange textures, smells and so on. It includes a map of the theatre, featuring designated chill-out areas where children can go to relax on bean bags or couches, and can focus on an alternative activity like drawing if they need a break away from the performance. The resource also includes a detailed outline of what will happen when they arrive at the theatre, the options they will have throughout the experience, and how it will end, complete with photos of the entrance/exits, stage, performers. Predictability is a big thing for people on the spectrum, so to be able to prepare for the occasion with this information is fantastic. It goes on to outline the plot of the show, with pictures and text, including when to expect any slight changes in noise levels. I especially like how they have taken special care to explain to the young person what an "interactive performance" entails, showing in clear steps how the performer will ask a question to the audience, then the audience have an opportunity to answer the question, when it's appropriate to respond, and that it’s OK if they don’t choose to respond also. House lights will be kept on throughout the show and sound has been toned down. Attendees can choose where they sit and can move around throughout the performance. Most importantly (in my books at least! ), talking is allowed! It’s great to see relaxed, inclusive performances like this being featured in the Festival. I hope schools and families support these events so we can see more of the same in the future. Original generation time 1.7210 seconds. Cache Loaded in: 0.0005 seconds.